F1 returned to fundamentals in Spain. Not only the fundamentals of giving us a great race, but also the fundamentals of this season - Seb vs. Lewis, and Ferrari vs. Mercedes. A race that was all about those pairs, and a World Drivers' Championship that's tearing that way too. 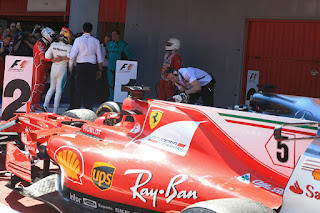 I am a huge fan of watching Grand Prix, especially I love to watch the speed of the Formula 1 cars and how the racers are taking control over their driving and speed. It occurs every year in different countries and thousands of people are come to watch this event. But apart from this event and racing, I was just wondering in how many days racing cars are requiring repair and maintenance it might be quite costlier.